The last three years, I have taken part in the best food festival in Scandinavia – Copenhagen Cooking & Food Festival (CCFF). You can read about the events I attended the first and second year. Unlike other festivals, CCFF is not limited to a certain space and a few days. Instead, there are events happening all over town for a full week. 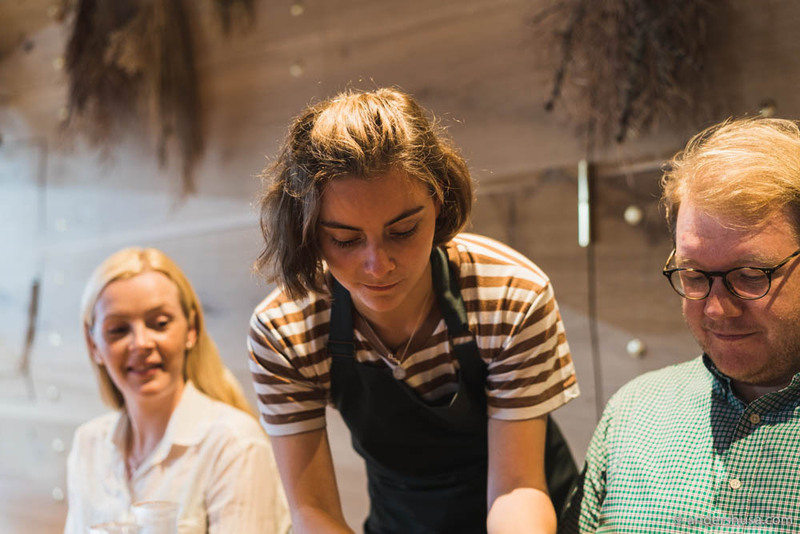 From restaurants hosting special dinners with guests chefs to smørrebrød and hot dog competitions and various food personalities hosting dining guests in their own homes. This year, I was asked by the festival to contribute with my own event. Specifically, they wanted me to do an At Home With-event. The first problem, though, was that I don’t live in Copenhagen. Furthermore, although I do love to cook at home, it’s not what I cover on my blog. 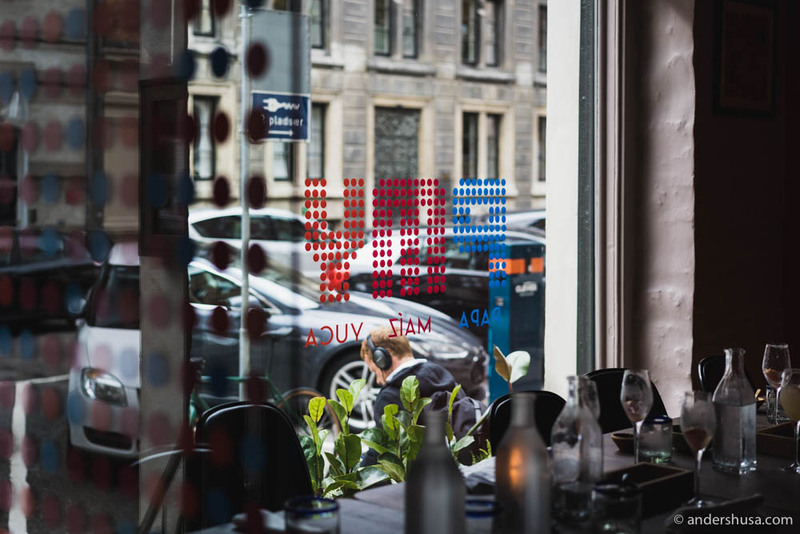 That’s why I suggested bringing people to my true home in Copenhagen instead – the restaurants. I met the hungry foodies that would join my trip outside the luxury hotel d’Angleterre. 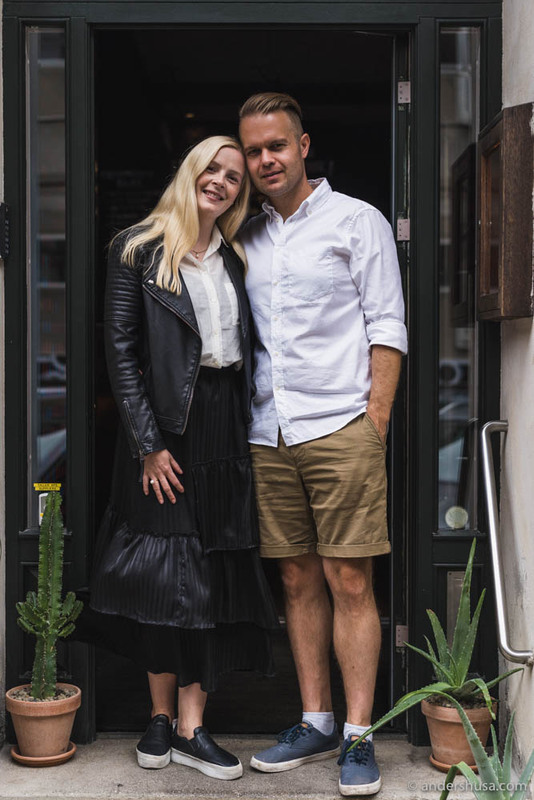 Among them, were Anders and Kristina, a food-loving couple that also joined my Copenhagen Foodie Trip earlier this year. Additionally, my colleague in the food writing world, Amélie Vincent, joined. She runs an amazing blog called The Foodalist. Such a great name, I wish I had come up with that myself. Check her out! Marchal is a favorite restaurant of mine in Copenhagen (check my Copenhagen map for more favorites). Head chef Andreas Bagh is a master of taste balance and packs his dishes full of powerful flavors. Eating here is pure joy. Joyful also describes the amuse bouche serving we had here. No less than five different plates of food hit the table. Two types of oyster, one with finger lime and wasabi and the other with flavors of a Bloody Mary. 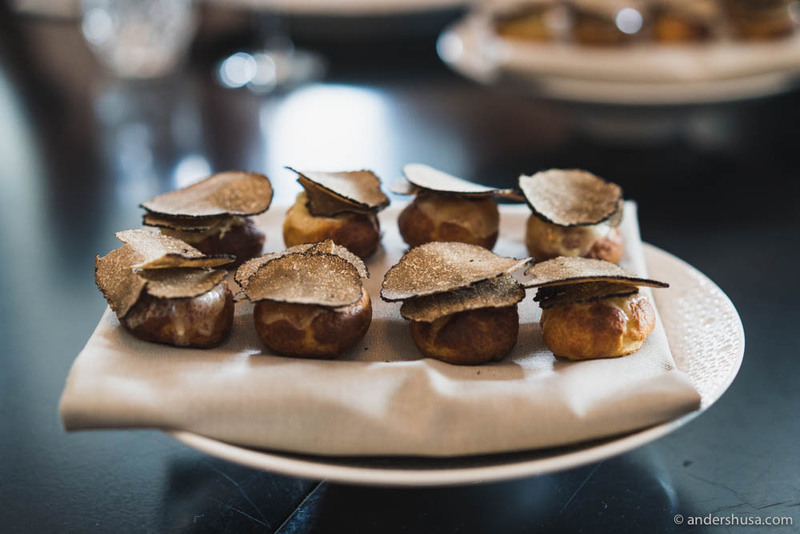 The signature gougères with truffle and comté, foie gras tarts with apricots and orange zest, and, lastly, tartare tart with chanterelles. Pairing? Champagne, of course. Book your table at Marchal here. 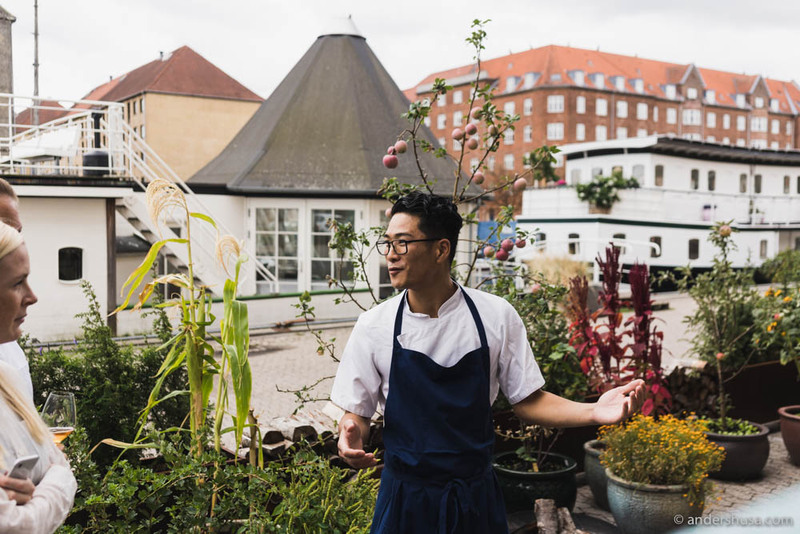 Head chef Max Surdu welcomed us at restaurant Aamanns 1921 – one of the finest smørrebrød establishments in the Danish capital. I wanted to have a traditional Danish dish in the mix. 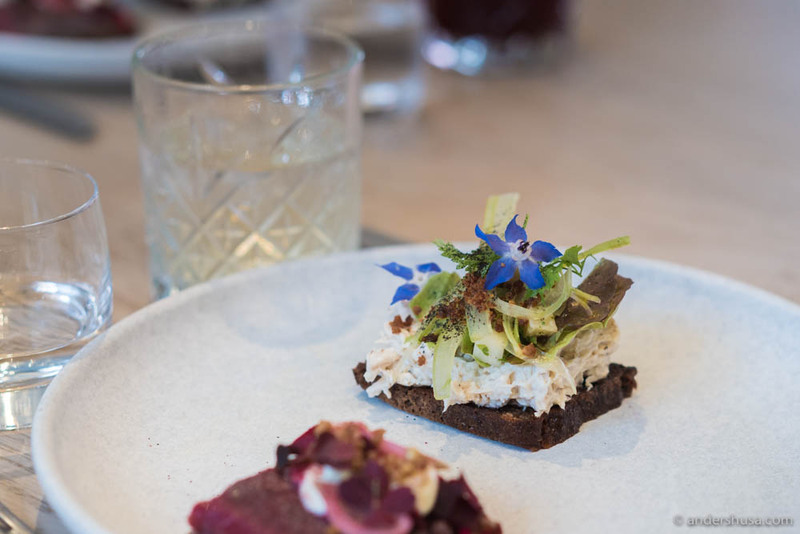 We were served two of their signature open-faced sandwiches – black currant-cured herring and chicken salad on rye bread. The man himself, Adam Aamann, came out to serve us beer and schnapps on the side. The only way to roll! 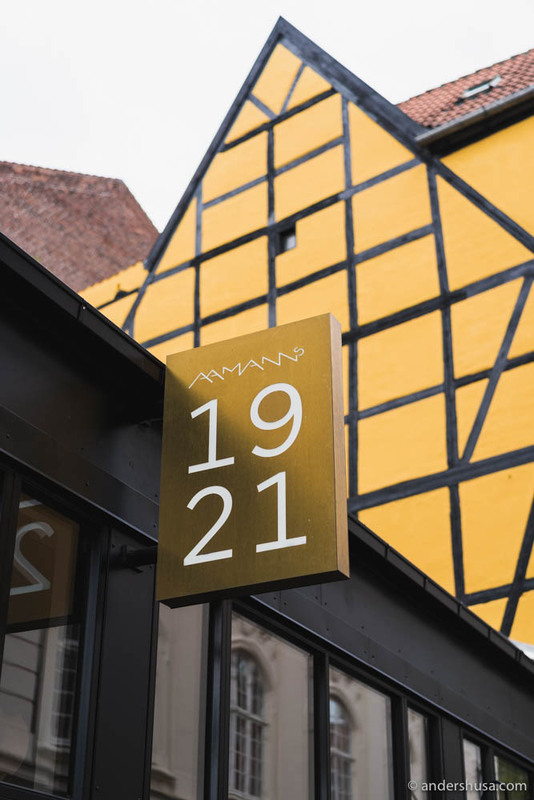 Book your table at Aamanns 1921 here. The only place where I had specifically requested a certain dish, was at restaurant Sea by Kiin Kiin. I simply love their red curry ice cream with lobster so much. Yes, you read that correctly – ice cream flavored with red curry. A savory dish with a dessert element and it works so extremely well. 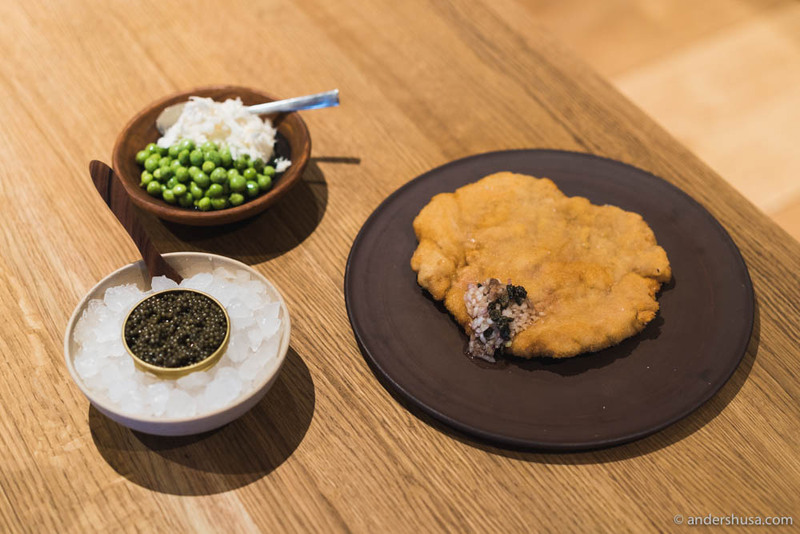 The idea originates from the flagship restaurant Kiin Kiin, which holds one Michelin star. 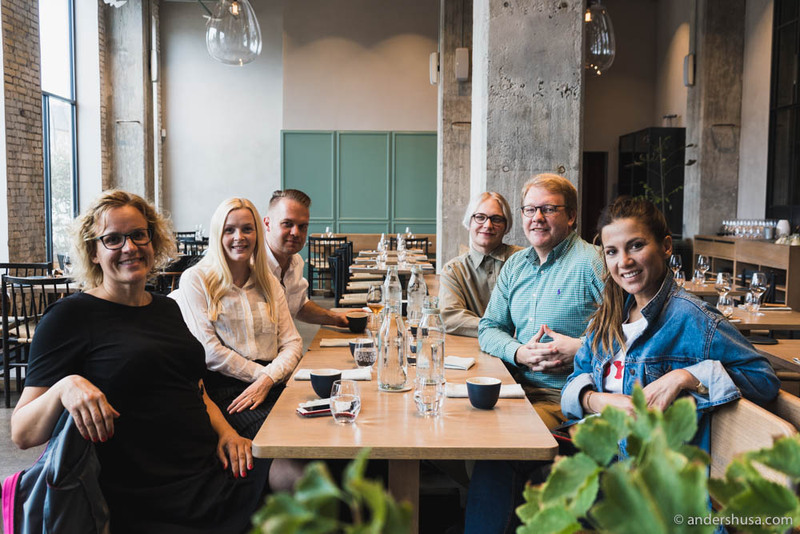 Owner and co-founder Henrik Yde was present himself to give us the full story of how they built one of the most economically successful restaurant groups in Copenhagen. His story is amazing because they started with basically no money in one of the roughest neighborhoods in town (Nørrebro was harsh back then). 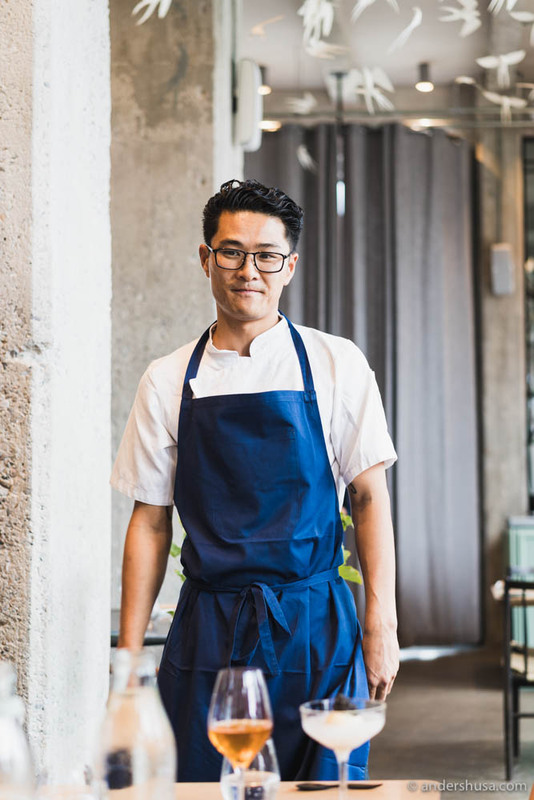 By offering cheap Thai food in a casual sister eatery connected to the same kitchen, they managed to save up enough money to eventually open their fine dining restaurant. Long story short, it became the first Thai restaurant in the world to hold a Michelin star. This evening, Yde also revealed that they had three new restaurants about to open. We were sitting in one of them! 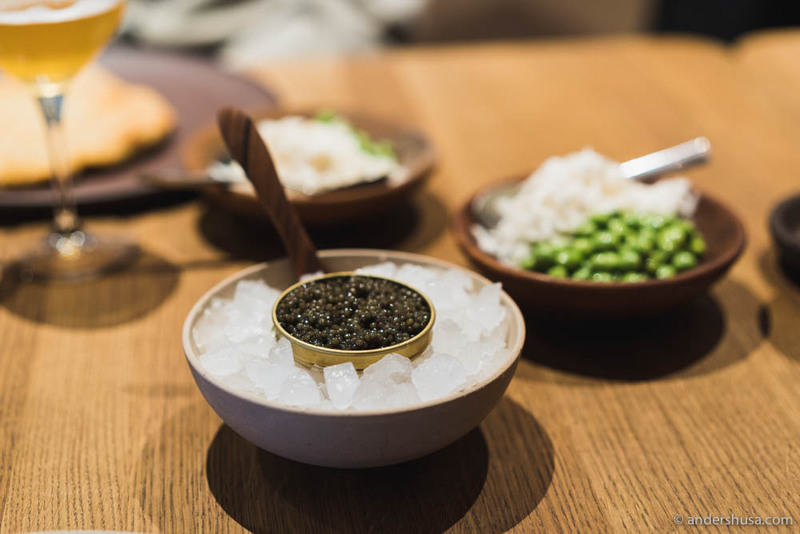 The bar area of Sea by Kiin Kiin was turned into Kiin Kiin 71 in October – offering an omakase tasting menu. Check my rumor page for information about the two other concepts. Book your table at SEA by Kiin Kiin here. 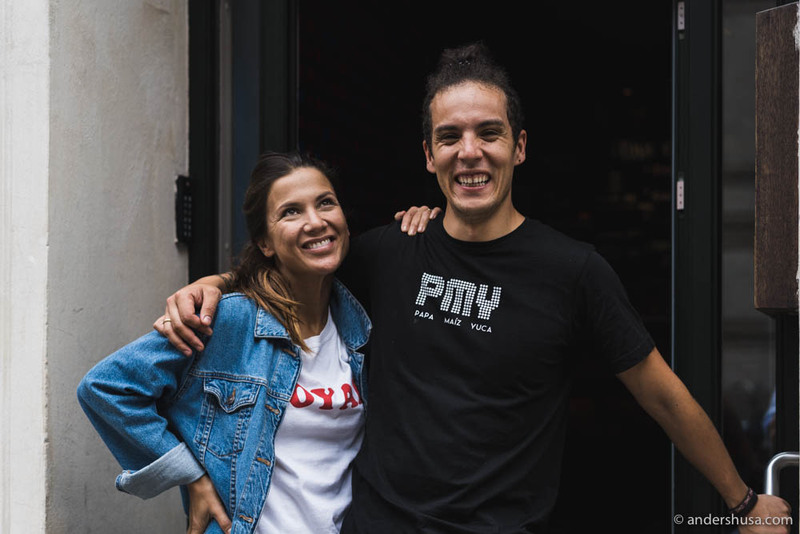 I’m always happy to return to restaurant PMY in Copenhagen, where chef Karlos Ponte and his partner Luis Moreno cooks up delicious South-American dishes. Their food is based on the cuisine of Peru, Venezuela, and Mexico. Today’s specialty was the Venezuelan taco – arepas! 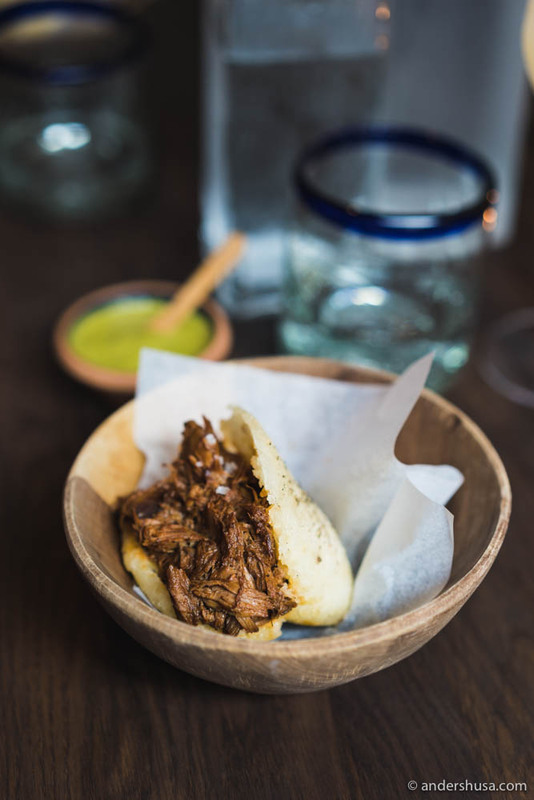 A maize pita of sorts filled with braised and smoked lamb served with Guasacaca sauce which is a Venezuelan avocado salsa. This stuff was heavy enough to be the main course, but we were not done yet! 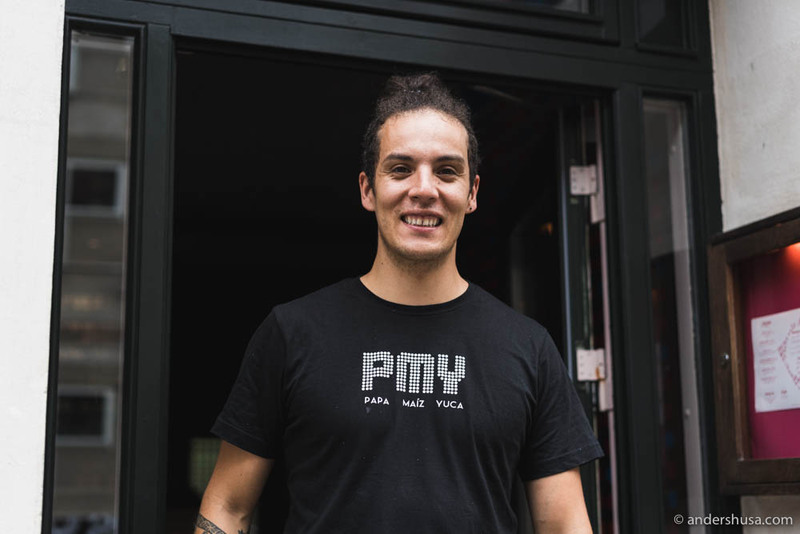 Book your table at PMY here. 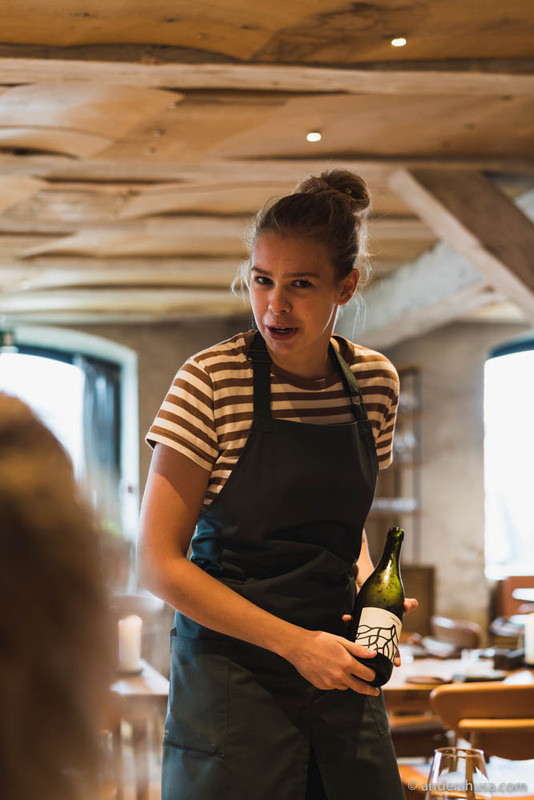 Head chef Thorsten Schmidt welcomed us at restaurant Barr – Noma’s second sister restaurant and one of the places I return to most frequently when I am in town. I was sure they would seat us in the beer bar, since we came outside regular opening hours, but instead, we got a large table in the main part of the restaurant. This is were the main course was devoured. Yet another signature dish on the food walk – Barr’s famous schnitzel. For the occasion, served as a Deluxe version with three boxes of caviar split between us. Paired with beer, of course. 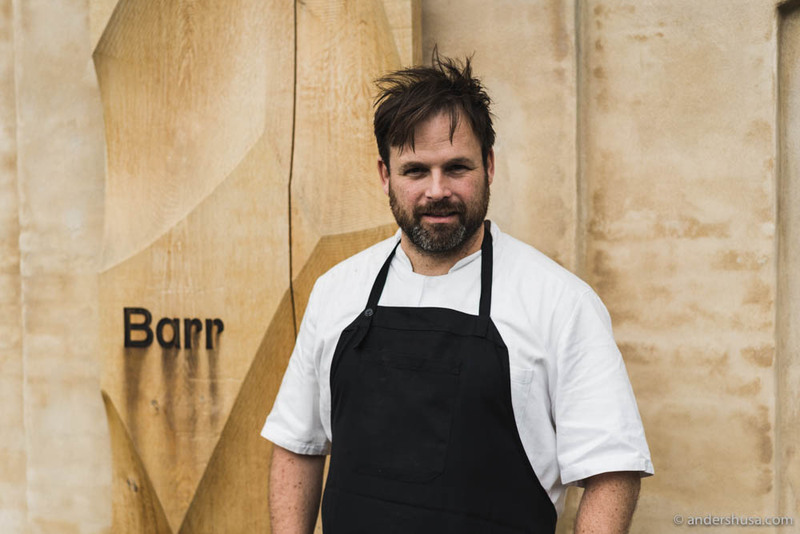 Book your table at Barr here. 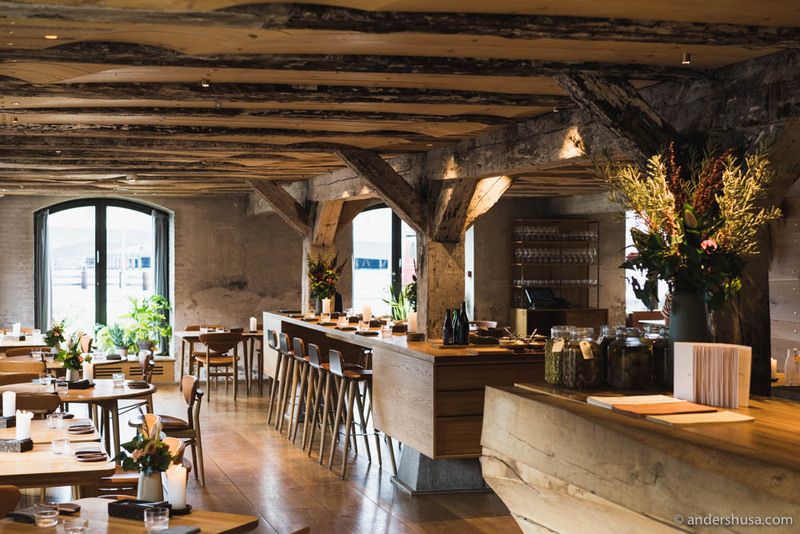 Finally, we ended our tour at another Noma sister – restaurant 108. Head chef Kristian Baumann not only welcomed us but also took us on a tour of the premises. He showed us the herb gardens outside, the kitchen, the tiny bakery, and the Corner wine and coffee bar next door. 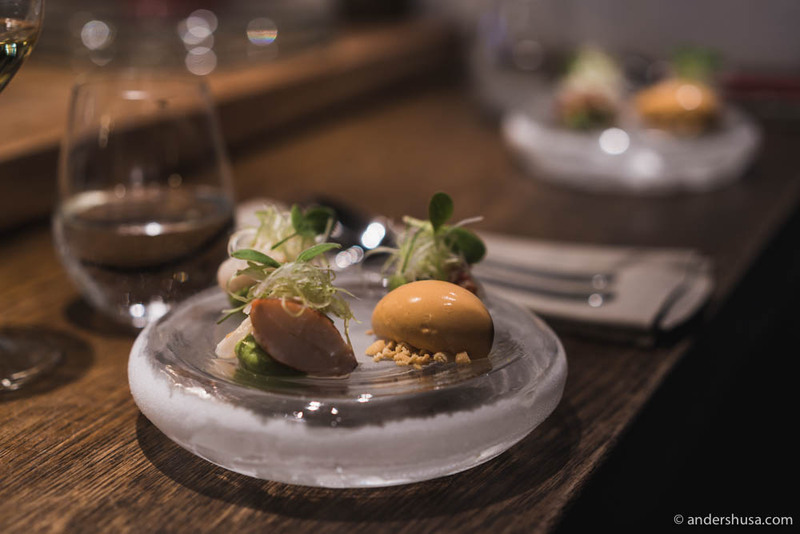 The last course on this epic food walk of Copenhagen was an amazing dessert by chef Baumann. 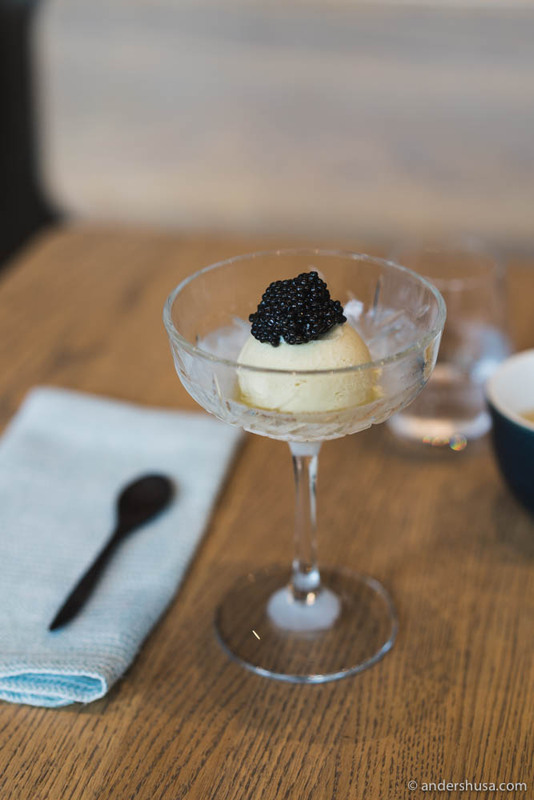 Roasted kelp ice cream with hazelnut oil and, once again, caviar on top. Savory meets sweet, and salty meets creamy, in one of the best dishes I’ve tasted this year. Short-listed for my top list. Book your table at 108 here. Would you like me to arrange more of these food walks in Scandinavia? Hit reply below and let me know. Absolutely. I could’t attend this one but I will next time.